The Nikon SMZ1000 is one of the most advanced stereomicroscopes that Nikon makes. Filled with incredible features, this Nikon stereomicroscope can do a multitude of tasks. 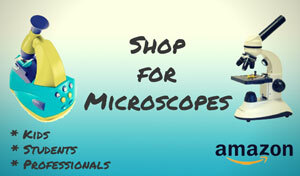 It is also versatile and adaptable, so customers can turn it into a microscope that fits their needs exclusively. 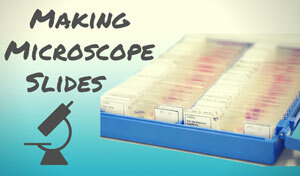 A stereomicroscope works by using a separate objective lens and an eyepiece for each eye to create a three-dimensional image of the specimen. These models may have lower magnification than a traditional compound microscope, but they also have a longer working distance. They're great for those who need to view their specimen in 3D. The Nikon SMZ1000 Zoom Stereomicroscope has been discontinued by Nikon, but is available at value prices on Ebay. The first impressive feature of the Nikon SMZ1000 is that it produces a really clear image. Many stereomicroscopes on the market have a problem with distortion, as chromatic aberration and lens distortion can cause an image to look irregular under observation. Nikon redeveloped the SMZ1000 so that the images are without blemishes, and true to their natural color. In terms of zoom and magnification, this model really helps users move in to get a closer look. It has a zoom ratio of 10:1, and can reach magnifications from 4x to 480x (not bad for a stereomicroscope!). 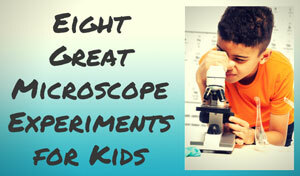 The magnification level depends on the combination of eyepieces and objective lenses used. It also has a click stop feature, which lets the user change magnification without looking away from the specimen. The standard binocular eyepiece inclines at a twenty-degree angle. This reduces neck strain and makes it easier for the user to focus on the task at hand. The microscope can also be customized with a low eye-level or tilting binocular eyepiece, which allows for a more comfortable posture. This option works well when using a diascopic stand. The tilting binocular eyepiece can be adjusted to incline from 0 to 30 degrees, and can be raised to meet any height. There's also the option of purchasing three risers to achieve a 75mm increase in height. The Nikon SMZ1000 also has several options when it comes to lighting. It has an epi-fluorescence attachment available, which works great for observing live cells. Fortunately it can switch between fluorescence and bright field easily, another nice option for those doing a variety of different tasks. Another light source is the Coaxial Episcopic Illuminator, which uses fiber optic lights to illuminate the entire sample. Or one could opt for the Oblique Coherent Contrast, which lets users view low contrast samples in high relief. Whatever lightening source a user needs, this Nikon stereomicroscope can be adjusted to meet that need. Besides the standard microscopic functions, the Nikon SMZ1000 can be used with a range of photographic equipment. It has a beam splitter built into the unit that makes it compatible with 35mm, Polaroid, digital stills, analog, and digital video systems. For further customization, an optional photo port can actually be added. This lets the user mount a photomicrograph unit. In this case, a beam splitter is not needed because the light is delivered directly to the port. This Nikon stereomicroscope is a nice unit for many reasons. It has the top-notch construction that comes with the Nikon name, and is also versatile and adaptable. The many options available for this model give it a chameleon like quality, allowing one to use it in many different situations. From cell biology to metallurgy, manufacturing, or forensic science, the Nikon SMZ1000 can be designed into the unit that the customer truly desires. 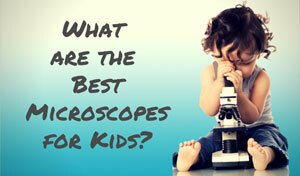 When it comes to buying a quality stereomicroscope, it's unlike anything else on the market. The Nikon SMZ1000 can be found on Ebay at a signficant discount.